I have some parrie breasts in the freezer which are coming up to a year old. It's easy to go past them to the venison, boar and homekill lamb, but tonight was the night! To be honest, no one in my family likes eating them which is a shame because they are the only "duck" which is daft enough to get shot by me on a regular basis. Basically did popcorn "chicken", or something like it. Dundee, Ryan_Songhurst, berg243 and 1 others like this. MB, csmiffy and dannyb like this. I used coat n'cook on goose breast. Cut into bite sizes. They were fresh though. didn't do any soaking from memory but that was years ago. also used honey soy marinade. cut into slivers and a quick burn. Took it to a little soiree for nibbles and no-one knew what they were eating unless I told them. Yeah, it could have been a rough cut of beef which is so much better than I normally do with parries. I will definitely try that on parries, and rabbit. I don't want to know what's in it though! How long do you soak in that stuff? its also great for making sauces, reduces the amount of vinegar/salt and sugar needed to make it preserve. 3-6 hours. still wont eat rabbit though! yeah, i've pretty much given up on rabbit. it either goes to the farmer's dogs, or a friend who has a strange love of eating it (we get homekill steak in return!). one way or another, i do try to utilise everything i shoot though. If you like chicken I don't know how you can't enjoy rabbit? Casserole, burgers or KFC style. EeeBees and csmiffy like this. I've taken to using Greek Yogurt with whatever seasonings I like in it to crumb all sorts of meat - easier than the flour-egg-crumbs route & even tastier because you can flavour the yogurt with any sort of spices or pesto. Give it a hoon - it's awesome!! i have shot over 10K, still use it as pet food. Second attempt. 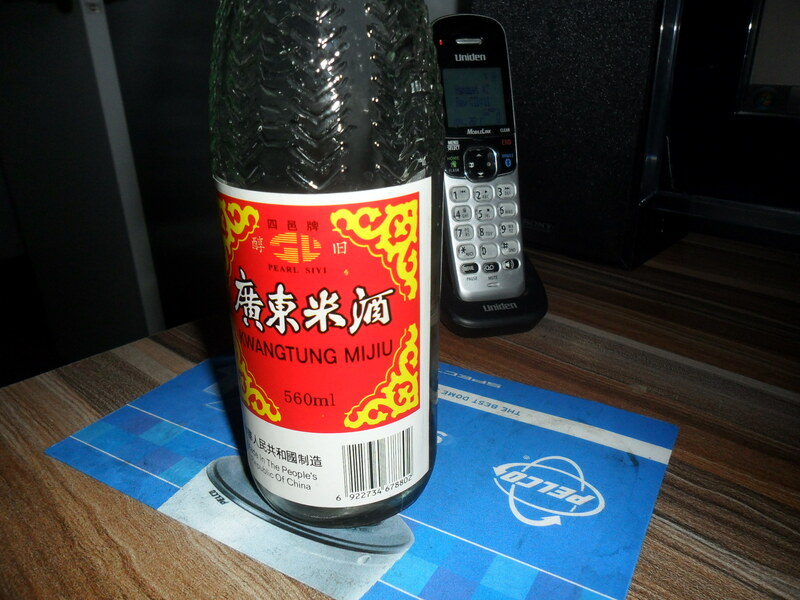 Managed to get "kwangtung mijiu". I do think it tenderised the meat a little and gave it that very distinctive Chinese restaurant flavour. Recipe as in opening post, but left the duck to soak in the magic firewater for a few hours.